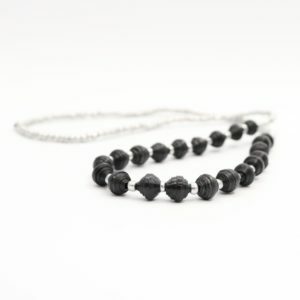 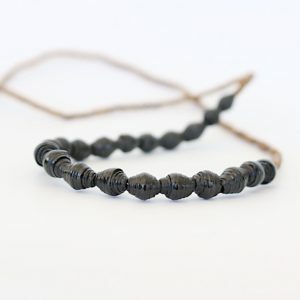 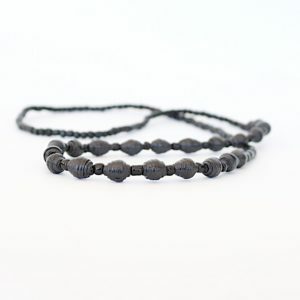 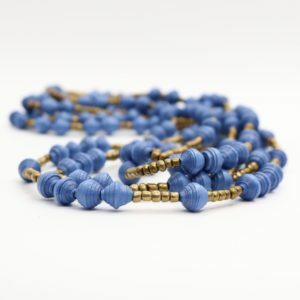 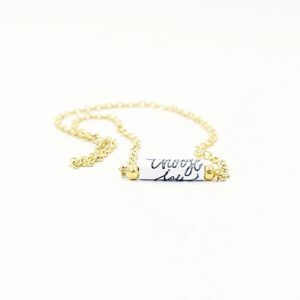 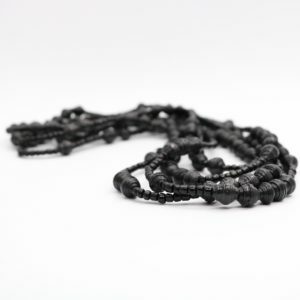 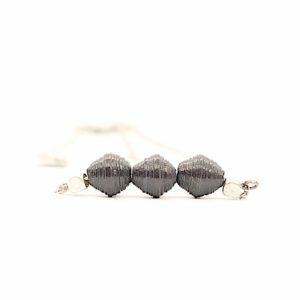 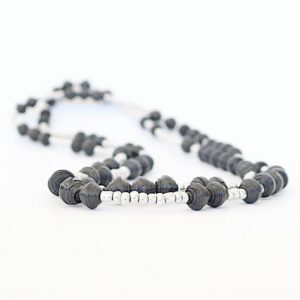 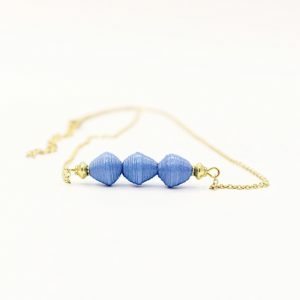 Each necklace is lovingly hand made by impoverished African women using hand rolled paper beads. 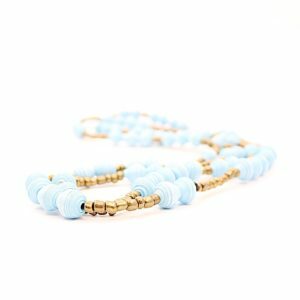 Each bead is carefully hand-rolled with meticulous diligence to create beautiful and unique necklaces. 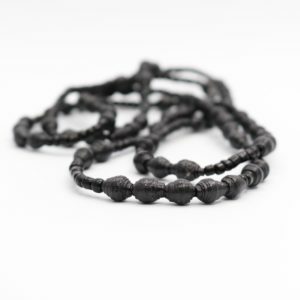 The process of rolling, dipping in varnish, and drying each bead requires patience and teamwork.